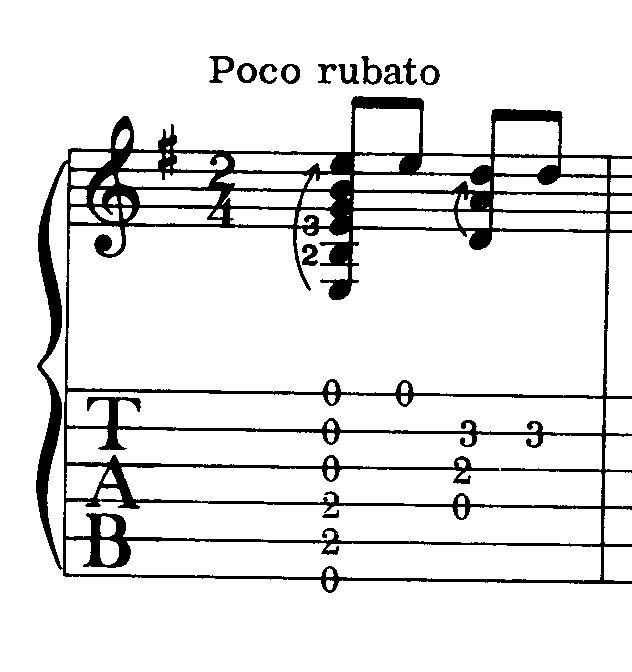 Tab is a good way to illustrate where notes are found on a fret board. There are six lines representing six strings - the high string at the top. Numbers are used to represent which fret is fingered. Eg. 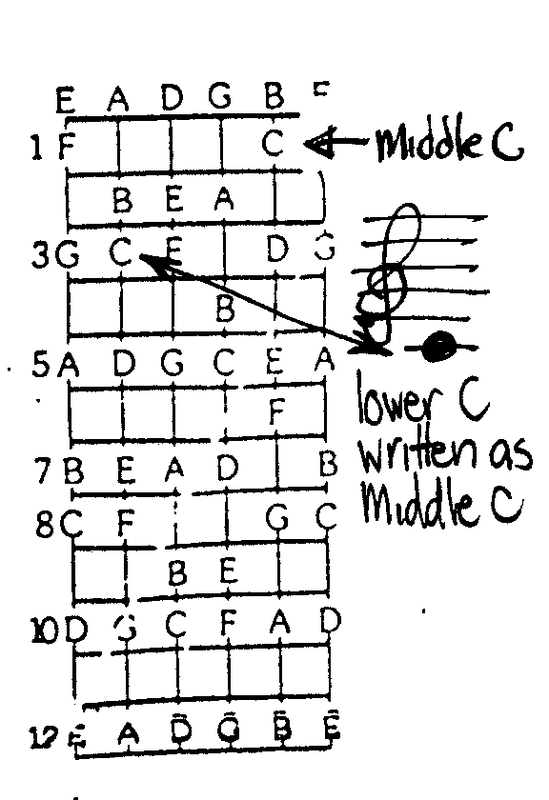 This first chord represents the Em chord. Musical notation for guitar is written an octave higher than it sounds to fit it on the G cleft or musical staff. This means that your middle C will actually be played an octave lower than concert. The Major scale gives us the predominant sound of western music, it does this by the intervals between the notes, and it should be familiar to you. The simplest form of the Major scale is C major, as it has no sharps or flats. In other words when we play it on the piano from C to C it has no black notes. What chords are in a key? In the key of C Major there are three main chords in the key C F G these three contain all the notes in the key. You will find the three Major chords to be the principle chords in most popular songs. Mastering the use of these will go a long way in your education and in understanding the idiom. They are also called the I, IV and V chords in the key; as we count up the chords you will see why. Am is the relative minor or the main minor chord in the key, so in the key of Am you will have this same chord family. The principle chords in Am are the minor chords Am, Dm and Em. If we start to count from the A we will have again the I, IV and V in the scale. This only leaves the VII cord (a diminished). Familiarise yourself with the sound each make, how the minor chords sound amongst the Majors and the other way around. You will find hundreds of songs based around just these three chords I, IV and V.